In 2005 the Dundee Lodge experienced great difficulty due to related factors of low attendances and lack of management. Fiona then assumed the role of Secretary. In her understated, yet passionate, manner she quickly revived its fortunes through her conscientious, dedicated and very personable approach. 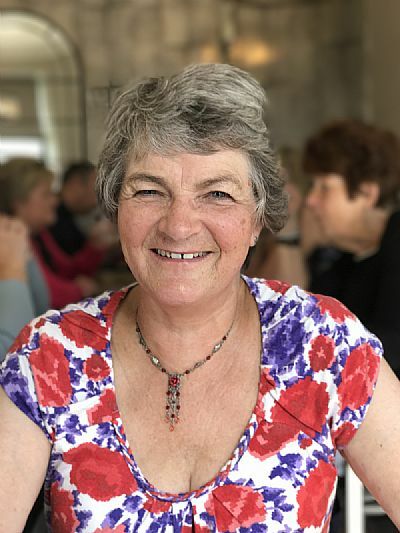 Fiona exemplified the spirit of co-operation, uplifting and inspiring those around her through her examples of selfless service performed for the benefit of others. Indeed without her tireless efforts, it is doubtful whether Theosophy would be operative in Dundee today. Fiona, who also possessed an interest in Buddhist teachings, was particularly inspired by the comparative and inclusive approach of Theosophy and the spiritual insights that it provides. She was a very enthusiastic attendee and contributor both to the public meetings of the Dundee Lodge and its members’ study groups. As a friend to so many people both within the Dundee Lodge and the National Society, Fiona will be deeply missed, but also most fondly remembered as a shining example of our principle objective of Universal Brotherhood. Fiona is survived by her partner and fellow Theosophist Aubrey Wood, and by her children Janet, Lesley and Craig. We are missing our good friend Irene MacMillan who passed away recently. She was a staunch member of Edinburgh Lodge of the Theosophical Society and a valued Committee Member until poor health deterred her. Even in poor health she remained interested in the society and all its activities. Those knowing Irene remember her with her vast knowledge of the Esoteric, her interest in discussing all such matters and her good humour in spite of difficult circumstances. Irene’s connection with the Edinburgh building goes back to her being a member of the Esoteric Library in her 20’s. She remembered the interesting books in locked, glass-fronted cases that could not be found elsewhere in Edinburgh. It was a paying library with an annual membership and cost per book to borrow. She often talked of the two devoted Pagan sisters who ran that library and kept it in such good order. She only joined the actual Lodge many years later. The following words were read at her funeral and I am sure those who knew Irene identify with her when they read them. Farewell, farewell my friends I smile and bid you goodbye. you feel sad, do think of me for that is what I’d like. Joy Mills passed away on the morning of December 29. 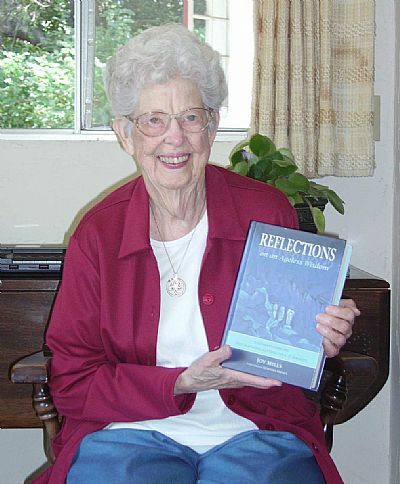 She died peacefully at her home in the Krotona Institute of Theosophy in Ojai, California. Joy was 95 years old, alert, and involved until her last days. 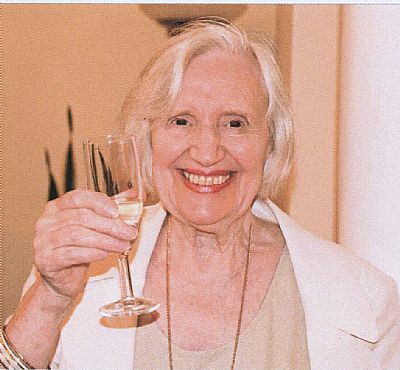 She will be remembered for a life devoted to the the work of the Theosophical Society worldwide. She was a profound student, and teacher who shared her ever-growing understanding in articles, books, and talks around the world. Her theosophical work took her to approximately 50 countries. She held a number of offices within the TS, president of the Theosophical Society in America (TSA), vice president of the International TS in Adyar, president of the TS in Australia, resident head of the Krotona Institute of Theosophy. Among her many accomplishments, during her first term as president of the TSA she founded Quest Books a line of theosophically inspired books for the commercial, popular market. Immediately following on her time as president in Australia, she returned to the USA and founded the Krotona School of Theosophy,​ which made it possible for public and members alike to access the resources of the center. Joy was a friend and teacher to many, but mostly, she was an example of a possibility to give oneself without reserve to what she viewed as the all​-important work of the Theosophical Society. She will be missed.